Use various report types to collect and process important sales information. Study customer demand, evaluate the success of implemented strategies and make firm sales predictions. Equip your Magento store with a powerful analytics & reporting tool. To properly manage an online store and wisely invest your time and funds you need to have a constant access to reliable statistic data. Magento reports help to understand what type of visitors come to your website, carefully measure your products’ popularity and make correct sales predictions. With the Magento Advanced Reports extension you’ll be able to use a great variety of sales reports to get priceless statistic data in real time. Find out which products in which time periods enjoy greater popularity, easily compare different time periods and build a successful sales strategy. NOTE: Customize any report type according to your specific needs. Each Magento custom report contains its unique feature set and allows you to fine tune data display in the most convenient way. After all the settings are specified click the 'Get Report' button to see the details on the visual graph and on the Results grid. Due to flexible 'Profit' report settings one can customize profit calculation depending on store specifics. For example, you can consistently take all your expenses like tax or shipping from grand total to evaluate average profit contribution per item or per order. With the Magento reports extension you can find out which time periods were more fruitful for your store by choosing two or more time periods to compare. See specified periods data on the graph as well as on the results grid. 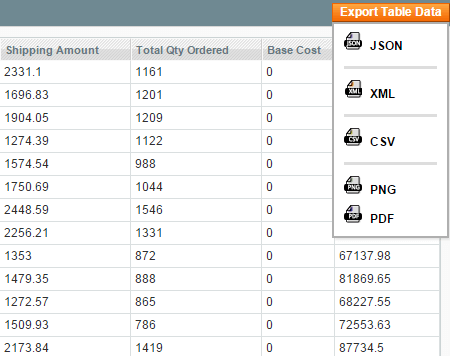 With the Magento reporting extension you can export reports data into different formats for further processing. When configuring report settings you can choose one or multiple store views for which reports data should be displayed. Each Magento detailed report contains its own set of parameters. All these parameters are displayed on the Reports grid below the visual graph. With the flexible extension settings you can choose each report parameter separately and display it on the graph. 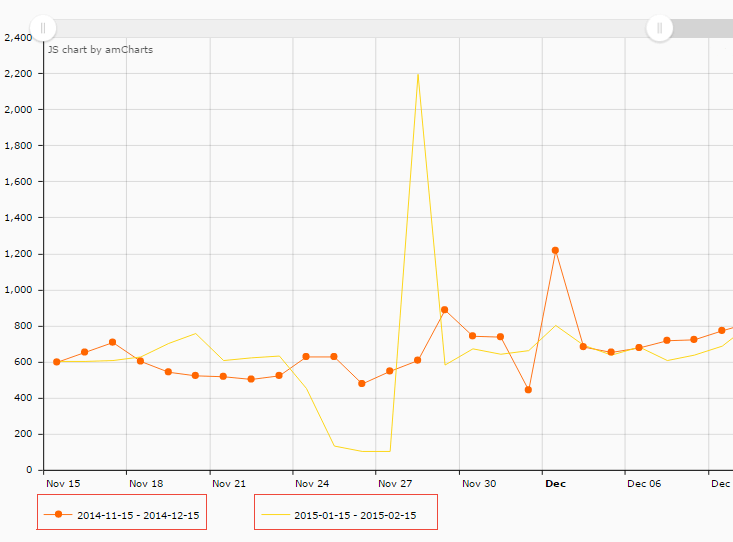 A good extension to analyze sales and performance of store views in Magento. Our store is available in 4 languages and 6 countries. After we decided to analyze and compare results by region, we were looking for reporting functionality. This module gives enough data to look at our store on the whole and zoom in on particular store views to set improvement priorities. This is my second and definitely not last extension bought from Amasty. This module adds the analytics part, which Magento commerce needs so much. Reports are quickly configured and give the insights I need to make informed decisions. Support folks worth particular mentioning. I made a stupid mistake during installation and supporters were so quick to find it and help me run the module. Module was easy to run. Overall, the functionality is good and works as described. The only problem we had regarded the profit report. There was a bug when we tried to filter results by store ID. Amasty support helped us resolve the issue quickly. And now everything works fine. Sales by weekday and sales by hour are must-have reports to optimize promotions and increase sales. We had some configuration problems in the beginning yet the support team was quick to contact us back and help. 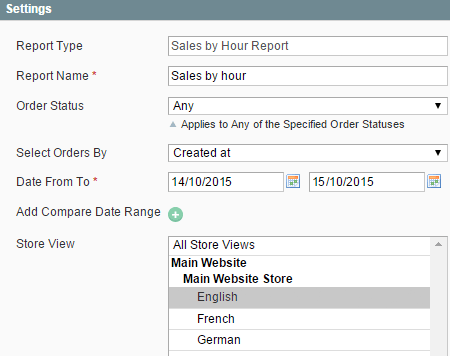 This seems to be the most flexible and complete reporting Magento extension. Still to completely meet our needs, my team had to customize it. The support provided by Amasty was very helpful in this regard. I disagree about the price. My friends tried cheaper extensions and that was a disaster. In the end, nothing good if free. Included reports are enough for my needs. Installation went smoothly, everything works fine. A good extension to check how promotions and marketing activities work. It helped me to improve my loyalty program. I change some aspects and then run the ‘New vs. Returning’ report. Very insightful! Call me a report geek but I believe that business without analytics is doomed to die. Previously I did all the calculations myself. But as the business started to grow it was evident that I needed some special tool to do analytics. Though I came across this extension accidentally, I would recommend it to anyone who wants to enjoy reports directly in their web store environment. This module has several must-have reports by default. Configurations are simple and quick. This is a good addition to Google Analytics reports which have inaccuracies. This extension provides more real figures as it uses native Magento reporting. Well... The app works right out of the box - no additional tweaking needed. Support guys kindly answered tons of my questions and finally I generated some reports. The interface appeared to be as plain as day and I was a bit surprised when didn't find the general dashboard. There is no such an option... however the reports themselves are clear and the graphs seem to be very informative and easy to perceive. All in all, for this price I'd like to get more flexible settings for the report (e.g. sales by cities, but not only by countries; sales by particular product attributes). Anyway, the app is definitely worth your attention as it accurately does what it promises.